Credit: Katie St John Glew. Animals feeding at sea inherit a chemical record reflecting the area where they fed, which can help track their movements, according to a new study by scientists from the University of Southampton. Chemical testing of the source of marine food products could be a powerful tool to help to fight food fraud, maintain healthy sustainable fish stocks or marine protected areas, and ensure consumer confidence in marine eco-labelling. Tracing the location of marine animals is difficult as they generally can't be seen and are often a long way from the nearest person. 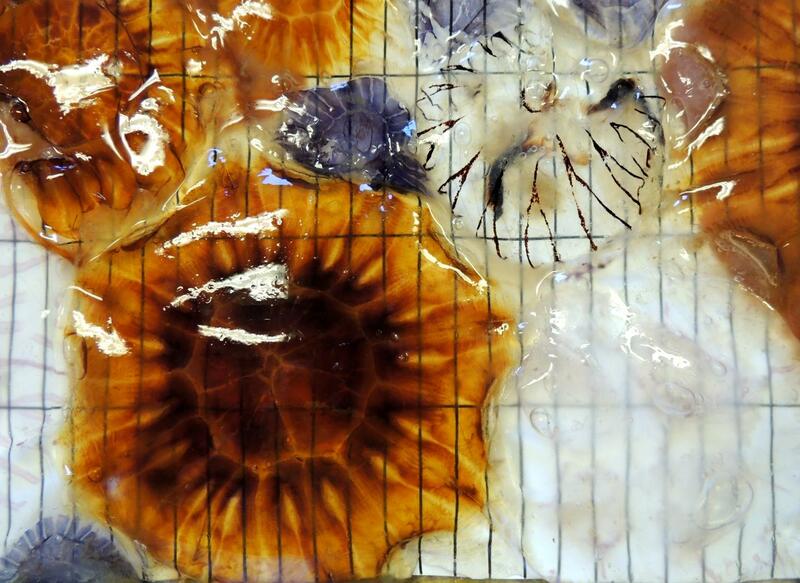 The Southampton research team, led by Dr Clive Trueman and PhD student Katie St John Glew, built maps of chemical variation in jellyfish caught across the North Sea. They then compared the same chemical signals in scallops and herring caught in known places across the North Sea, and used statistical tests to find the areas of the North Sea with the most similar chemical compositions. These chemical tests were able to accurately link scallops and herring to their true locations, and can be used to test if the chemical composition of an animal matches a claimed area of origin. Dr Trueman, Associate Professor in Marine Ecology, said: "Understanding the origin of fish or fish products is increasingly important as we try to manage our marine resources more effectively. Fish from sustainable fisheries can fetch a premium price, but concerned consumers need to be confident that fish really were caught from sustainable sources. "Recently, genetic tests have revealed widespread mislabelling of the type of fish being sold worldwide, but currently we don't have any way of testing where a fished product was caught." The study, published in the journal Methods in Ecology and Evolution, was funded by a NERC SPITFIRE PhD award to Katie and also involved Dr Kirsteen MacKenzie from the Institute for Marine Research in Tromsø, Norway.